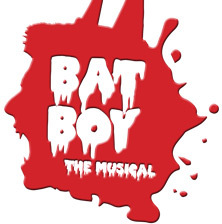 Samford University’s Michael J. and Mary Anne Freeman Theatre and Dance Series will present “Bat Boy” Oct. 22-25 in Bolding Studio. Based on the story first published by the Weekly World News and the National Enquirer, authors Farley, Flemming, and O’Keefe bring to life the story about two crossed lovers from a small town in West Virginia. In this rock-and-roll satire, Edward, who is part boy and part bat, falls in love with the veterinarian’s daughter who is helping to raise him in captivity and teach him how to be “normal.” Bat Boy addresses real issues in a ridiculous fashion. This production is suitable for young adults and above. Thursday, Friday and Saturday performances are at 7:30 p.m. on Thursday, with a Sunday matinee at 2:30 p.m. A talk back session will follow the Sunday matinee performance. Admission is $6 for students and $15 for reserved seating. Tickets are available online or at the Samford box office in Swearingen Hall. Bolding Studio is located in Swearingen Hall on the Samford campus.